Thermal and laser printer repair for over 25 years. 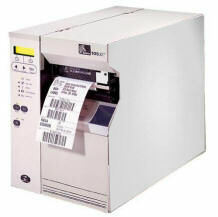 Oakwood Technologies has been providing reliable thermal printer, laser printer, barcode device and computer repair services for over 25 years. Based in northwest suburban Chicago, we offer several convenient service options for repairing and maintaining your printers and other peripheral equipment. Contact us today to discuss your organization’s hardware service and maintenance needs. Printer repair service area: Thermal and laser printer repair repair service Area.